Plant daisies and hang this pail on fence posts in the country. 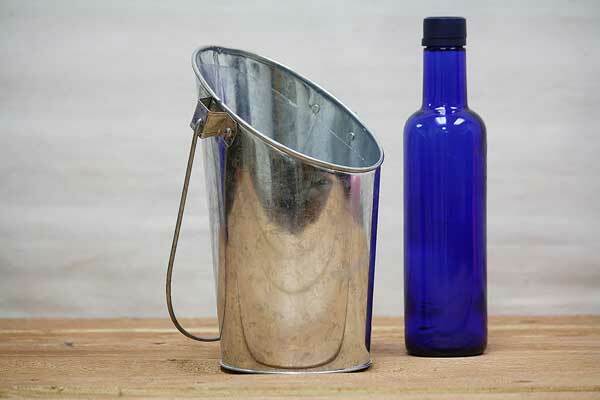 Metal pocket pail can stand alone or be easily hung from its specially crafted handle. The sturdy handle is the key for simple hanging on walls, door knobs or fence posts. Excellent decorating pail to display beautiful cut flowers (using optional plastic liner). The front of this wall vase is 5.25 inch high and the back is 8.5 inch high.